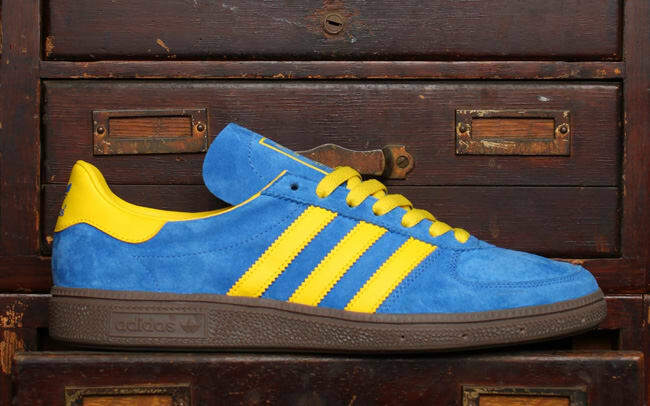 adidas Originals Baltic Cup "Satellite Blue/Sun Yellow"
Set to be a part of adidas Originals&apos; forthcoming Archive collection, the Three Stripes is dusting off the 1970s handball silhouette, the Baltic Cup. The BC is seen here noting a premium suede upper, contrasted with touches of bright yellow leather in the branding alongside, heel, and lining. Additional notes of the vibrant shade can be seen in the laces as well as on the tongue, as a deep gum sole sits neatly underneath. The re-birthed offering will become available in March through dealers such as SNS.